BILT CopyPower is a premium, high bright photocopying paper. Controlled surface properties for efficient operations in high speed copier machines. Excellent runnability, ideal for high speed photocopying. Prevents jams, misfeeds and curling on the photocopying machine and desktop printers. Precisely cut and packed on an automatic A-4 line. BILT Image Copier is a ‘Value for Money’ copy paper. Good performance on the copier machine in terms of its runnability and good quality of copying. Applications : Photocopying, Desktop printing. BILT Royal Executive Bond is a premium, woodfree, watermarked business stationery paper. Excellent brightness, whiteness and opacity. Paper characterized by a mystique feel. Superior archival property, physical strength and formation. 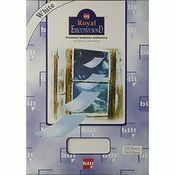 Summary: BILT Royal Executive Bond (A-4 Size, Coloured) is a premium, woodfree, watermarked business stationery paper. Offers a range of pastel colours - Moonbeam(white), Camelle(cream) & Aquas(blue). Avaliable in 100gsm,100 sheet A-4 size pack with world-class packaging. Important documents-proposals, quotations, presentation, resumes etc. 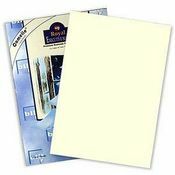 BILT Royal Executive Bond (A-4 Size, Coloured) is a premium, woodfree, watermarked business stationery paper. TA Azuerlaid Ledger is a water marked, non surface sized uncoated woodfree paper. Paper is generally green in color.